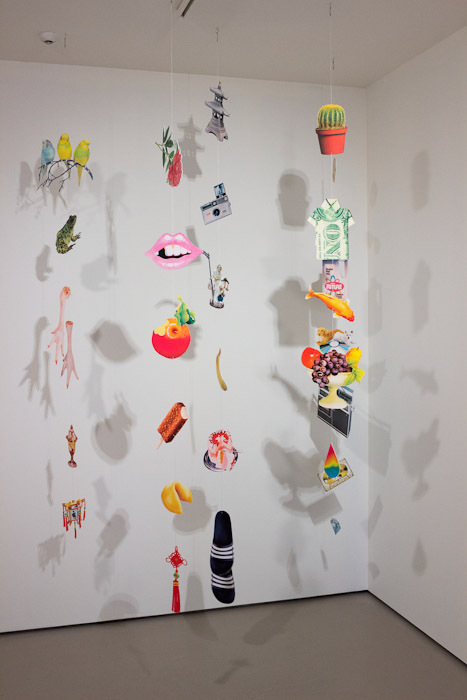 Kerry Ann Lee is a visual artist, designer and educator from Wellington who exhibits nationally and internationally. With a background in graphic art, she uses traditional and digital media to create socially engaged print and image-based works and installations. Her art meditates on themes of home, difference, and hybridity. It has also explored urban settlement and culture clash occurring in the Asia-Pacific region, particularly in Chinatowns. In 2007, Lee was the recipient of the Asia New Zealand Emerging Researcher Award. In 2008, she created Home Made, an illustrated artist book and national touring art exhibition that presented an alternative cultural history of Chinese settlement in New Zealand. In 2009 she received a Fulbright Award to attend the Summer Residency Program at the School of Visual Arts in New York City, and she was an artist-in-residence at island6 Art Centre Shanghai through the WARE Programme. A survey of works created in Shanghai was shown at Toi Pōneke Gallery in Wellington in 2010. A work commissioned by The Museum of New Zealand Te Papa Tongarewa was shown for 18 months and featured on the covers of Art News New Zealand and Art Zone. Her artwork can be found in print, online, and in public spaces and private collections throughout New Zealand, Australia, Europe, USA and China.